Paulo Avelino checks out KTM Philippines at the Inside RACING Bike Festival. 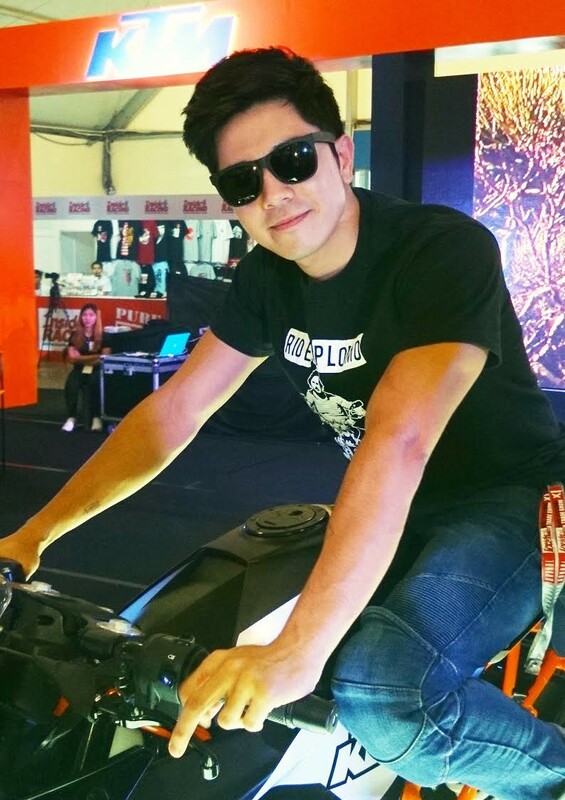 Television and film actor and KTM motorcycle fan Paulo Avelino shared the excitement of KTM Philippines in its first ever participation in the recently-concluded Inside RACING Bike Festival and Trade Show held at the World Trade Center. A racing enthusiast, Avelino joined the team behind KTM Philippines in introducing the brand’s impressive line of high-powered motorcycles and the present 200 Duke available at P147K. Recently, Avelino underwent rider training at the renowned California Superbikes School Philippines using the KTM RC390.